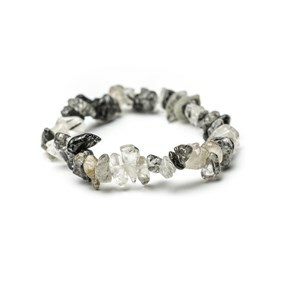 Discover our beautiful ready-made bracelets made from beautiful drilled gemstones. 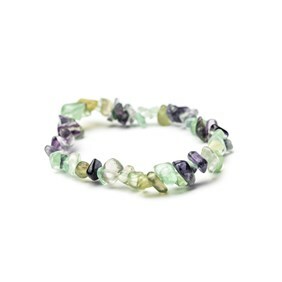 No need for assembly, these gemstone bracelets are ready to wear and would make lovely gifts! I bought a Brazilian Amethyst and had it set in a ring, the jeweller that set it for me admired the quality & the colour of the stone and advised me the price I paid for it was good value. Fantastic stone thank you, The jeweller has now started to use Kernowcraft. It is always a joy to deal with your Company and your hints and tips always help me to improve my skills and encourage my interests. Thank you for caring about us small enthusiastic silversmiths! Your site is so easy to navigate. The saved item idea is a brilliant idea; I can log on and cherry pick for each project. P&P is very reasonable too! I just came across your online shop and my first reaction was wow! It has everything i need to carry on with my jewellery making. I've seen things that i have been looking for and couldn't find in so many other shops! I have sent a couple of email enquiries today, which have been really quickly answered. This customer service is what made me order with you straight away! Just received my order that I placed only yesterday. I wanted to say thank you! I am delighted with the choice of cabochon, setting and books. Now I have to read up on how to set it! FABULOUS SERVICE - Thank you! Your website is easy to use, your products excellent, nice friendly service on the phone and delivery quick, excellent. Thank you and well done Kernowcraft. Gold star! Thank you for my recent order as I'm blown away by all the lovely pieces. I don't really know what to start work on first. Thank you for supplying top quality items on a easy to use website. I just wanted to say a massive thank you to the team, particularly the ladies that helped me yesterday. Delivery took less than 24hrs, that's amazing. The quality of both cabochons and settings are stunning. I can always rely on Kernowcraft. I used to live in England but moved to Sweden a few years ago. They have nothing here like your company so I'm really pleased I could bring you with me. 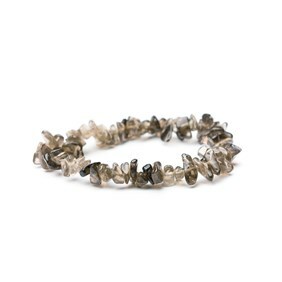 I have grown as a jewellery maker over the last year or so due to the encouragement the team have given me - they are all experienced jewellery makers or keen crafters. They have helped to guide me through my inventory, offered helpful tips and advice on all manner of silver working. As always I'm thrilled with the quality, especially the time you took to meet my specifications. My great uncle gave me your catalogue 20 yrs ago and although I'm just a hobby jeweller I always rely on you for the best quality. Always too many temptations, but a joy to look through. Thank you for such good service. I have to be very strict with myself when I visit your website! I've been very impressed with the items I've bought from you. My family are from Cornwall (Boscastle and Camelford) - so it seemed very fitting that the silverware I'm using to make their Christmas presents is from a Cornish business. They'll like that! I just love all you stand for and, as I have said already, Kernowcraft is much more than a retailer. It really is a blessing to deal with you and to learn how to make attractive and beautiful things. I am hopeless at this but your service makes the attempt worthwhile! Thank you Kernowcraft team. Love you for your friendly and perfect service. 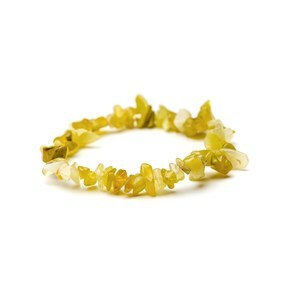 Have been into your showroom and seeing the opals in true life makes them way too irresistible, thank you all! Great, easy to navigate website with wonderful clear photographs. I look forward to receiving my order... it's going to be like Christmas! 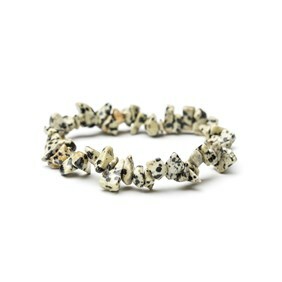 I have just ordered some stones online and found the experience pleasing. Your website is no fuss, easy to use and it's a pure pleasure to purchase things. Many thanks. Thank you very much for the speed with which you sent my order. The items arrived the day after I ordered. I couldn't ask for more so thank you so much. I am very happy with my products... it is wonderful to have a reliable source of materials and gems with a fast delivery and a lot of tips on how to use the tools we buy. Just wanted to say a massive thank you as I'm so appreciative of the superb customer experience I've had. Super quality products and quite frankly, I wish more places had Kernowcraft's attitude towards customers. Whenever I feel unsure as to where to purchase any stones or jewellery requirements I always go back to what is familiar. Thank you Kernowcraft for being true to your customers. I just wanted to say thank you for the amazing service from Kernowcraft. I find your website easy to navigate, products good quality and the delivery is second to none! Thank you to the lady who went to a great deal of trouble to find a very small opal that fitted a bezel cup. The work is now complete and looks very nice - my wife is delighted with the result. The opal I received is absolutely amazing and just perfect. 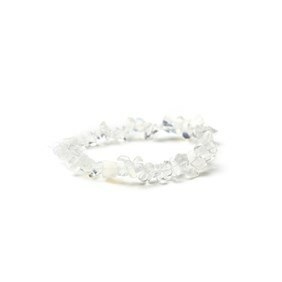 Its such a beautiful stone and I tried it with my wedding dress yesterday and its just set it off so well. 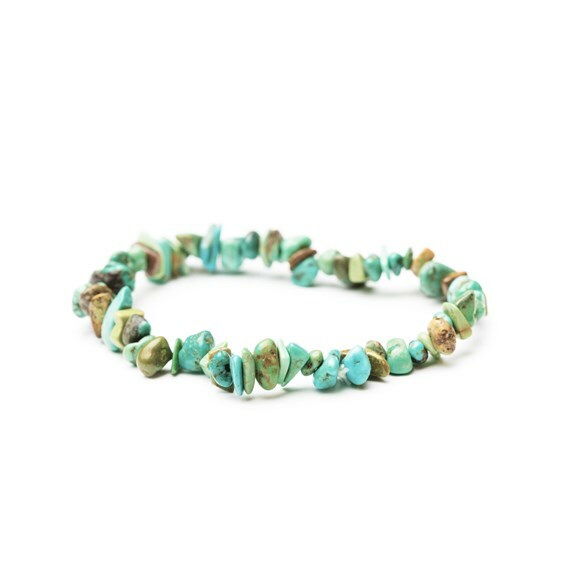 I'm always pleased with my purchases and my fellow jewellery making friends enjoy browsing all your products with which your stones and beads inspire us to make lots of beautiful pieces to wear and give as gifts. Great looking website, one of the best I've seen and used. 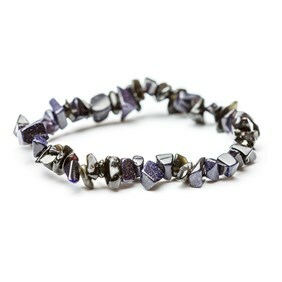 Good search function, good range of products, good prices and great advice for jewellery makers of all abilities. All-in-all a great site and one I'll use again and again. I just wanted to say how impressed I am with the quality of pearls in my recent order! Thank you so much for taking time and matching them into pairs, it's very appreciated. Thank you and I am definitely going to buy at your store in the future. I only use this company now as other shops and online companies I've used just don't have the quality at an affordable price. Many thanks for your very prompt service and attention to detail. You sent me a beautiful stone with just the right mystery and content, without being too dark or light. I think you are a fantastic company, successful and yet small enough to maintain a friendly, personal service. Thank you. I would just like to say that your company has been so wonderful to work with. Very thorough and friendly and the customer service has been perfect! Just to say that I have always had the best possible results for every order - however small - and all your products are of excellent quality. Thank you for your unfailing efficiency. Your new website is excellent! I recently ordered a couple of replacement stones from you and I'd just like to say how happy I am with my purchase and very impressed with he friendly helpful service you gave. Thank you very much. I think you are doing a very efficient job with really good stones and findings etc. Your turnaround time for orders is excellent and everything arrives safely and undamaged. Great products, great service. Always the first place I think of when I need any item for jewellery making, they never let me down. Just to say that I have always had the best possible results for every order - however small and all your products are of excellent quality. Just want to say a very big thank you for your quick delivery and excellent service. The stones I ordered arrived this morning, the quality and price are second to none. I was delighted with my purchase. Thank you so much. 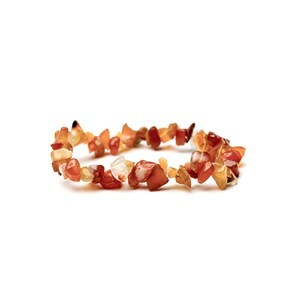 Beautiful quality and colours - I rarely buy semi-precious stones anywhere else these days. Very helpful, superb service, speedy delivery. What more could anyone want? As always the stones are tip top quality and exactly as described. Kernowcraft always fulfil special requests such as matching stones and so on. Delivery speedy as ever and thrilled to receive my order next day. I’ve used Kernowcraft as a supplier for findings and pearls since beginning my business 8 years ago, because I know I can absolutely rely on the quality I get. The service is pretty impeccable too. I felt compelled to write to you, as I'm so impressed with your quick service! I've been a Kernowcraft customer for years and have never had anything but reliable, efficient service from you. I have bought your products for over 20 years now and have always been completely satisfied with your products and prompt service. Here in America where I now live, I have found nothing to compare. The customer service I have received from you and the help has been second to none. If only all companies were so helpful and understanding that i am a complete newbie. The retail world would be a better place. I have known Kernowcraft since 1975 and I was always impressed by their customer service, efficiency and friendliness and not forgetting the quality of their goods, which was always brilliant. The stones are excellent quality, and the special request I put in for dark citrines and paired malachites has been met perfectly. I am delighted with Kernowcraft, and will be back! I always know when I order from you the items will be excellent value for money & service second to none. I cannot recommend you highly enough! 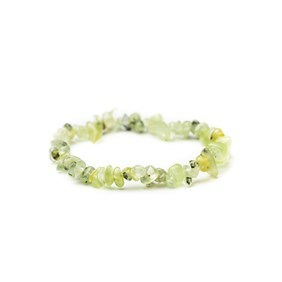 It can be difficult to order gemstones online - no such worries with Kernowcraft - you really do care about your products & clients and it shows. Super quick delivery, quality products every time and solid support when you need it from people who know what they are talking about. I’ve just had my first order from you and I am so pleased with the fast delivery and the quality of the products. The satin cords and the findings really finished off my ceramic jewellery.